So You Are Getting Married? Of Course There Is An App For That! 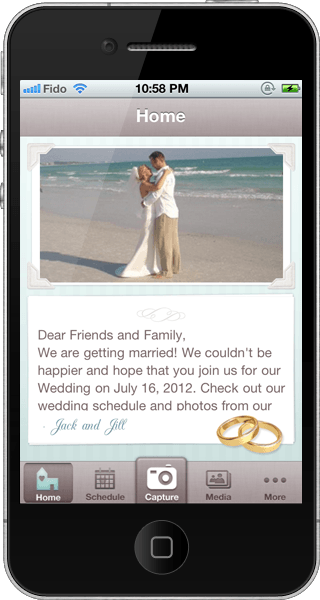 Some friends of ours have created a truly innovative app called Appily Wed. 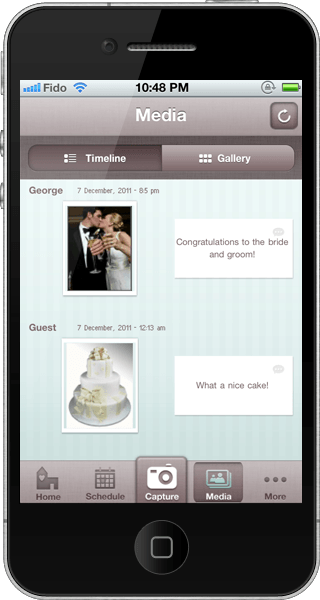 The app is supported on iOS and Android and let’s you take and share pictures from your smartphone, view pictures taken by the other guests during a wedding or any other wedding related events, and keep track of the schedule of events. The app is free to use for all users while the wedding party pays a small subscription fee in order to host the pictures and site. 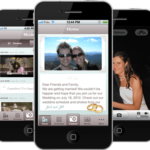 It is a great way for the bride and groom to learn more about what happened at their wedding without having to be everywhere at once and with much better quality than disposable cameras. 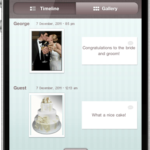 Moreover, guests can see what happened in perhaps some more private events that occur during a wedding (example when bride and groom leave to go for pictures, special family ceremonies before the wedding, so on). 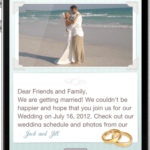 So if you are getting married and need a wedding photo sharing app, use AppilyWed! Oh and congratulations on getting married.